What Does MSDS Stand For? If you have ever worked in the field of occupational health and safety or a food production facility, an MSDS or "Material Safety Data Sheet" should be a familiar concept to you. An MSDS is a document outlining the dangers, long-term health risks, and emergency procedures associated with chemical substances in a work environment. What is the Importance of an MSDS? An MSDS is considered to be a necessary starting point for any health and safety program within a company. For any potentially harmful material being used, an MSDS will explain procedures regarding handling, storage, on-site use, and emergency protocols. 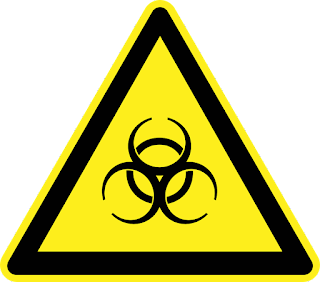 In relation to products being sold to customers, an MSDS provides a much greater description of the product's potential hazards than the label on the product itself. When Is an MSDS Required? The U.S. government's Occupational Health and Safety Administration (OSHA) determines the requirements for MSDS documentation in addition to what substances an MSDS should be used for. According to OSHA's Hazard Communication Standard, all chemicals produced, handled, or imported should be classified, and all information regarding the potential dangers of these chemicals should be communicated to both employers and employees. An MSDS should be used if a substance meets OSHA's definition of "hazardous" and is known to be frequently present in the workplace. The guidelines of an MSDS must be enacted through extensive hazard communication programs, which should include container label warnings and employee emergency procedure training. How Long Do You Have to Keep an MSDS Sheet? OSHA requires an organization to keep some record of the identity of any hazardous substance for 30 years after last use. Using an MSDS as your record will usually be the most direct and easiest method of documentation, although an MSDS is not strictly required for a 30 year period. Where Can I Find an MSDS Sheet? Your workplace or laboratory should have a stock of MSDS sheets for the chemicals your company has ordered.In addition, most universities and businesses stock MSDS documents. You can also check your local Environmental or Occupational Health Office. An MSDS sheet can even be requested from the distributor that sold you the material. If you can't contact them directly you can try to get in touch with their customer service department. A vast number of free MSDS resources can easily be found online as well. If you are still having trouble, you can purchase MSDS software or other online MSDS subscription services. After weeks of running around like a mad woman, I finally had a relaxing weekend! A couple of my friends and I rented a little log cabin in the woods so we could get away and enjoy some peace and quiet for a couple of days. The white cedar siding of the log cabin was absolutely beautiful and the view of the mountains from the porch was breathtaking! My friends and I wanted to steal the electric lantern in the picture off the porch for our own houses too! I know I speak for all of my friends when I say we would go back in a heartbeat. I loved the gorgeous log cabin and getting to spend time with my friends, but that wasn’t the best part of the weekend. I honestly just enjoyed not having to eat a meal in less than five minutes. I was so extremely busy that I don’t know the last time I sat down to eat a meal; I was always eating on the go and it was terrible! And I really missed cooking so being able to cook for all of my friends was great as well. I came across this Savory Yogurt Chicken recipe a while back and finally decided to make it on our trip. It was delicious and definitely the favorite meal of the weekend for everyone. Prep-time is minimal, but the chicken does have to cook for 45-55 minutes. I’m glad I finally tried it because I can whip up the crumb mixture quickly and get it on the chicken then let it cook while I workout. I’m hoping to find more recipes like this so I accomplish something around my house while dinner is cooking so if you know of any recipes that are similar, please share them in the comments; I’d love to try them out! As our winter weather seems to be turning even more winter-ish, I find myself daydreaming of beach holidays. I yearn for the warmth of the sun in a cloudless sky and the feeling of wiggling my toes in the sand instead of feeling them pinched in my work shoes. I’m currently planning my trip for this autumn and love nothing more these days than looking for new ideas of resorts that will offer everything I’m looking for in a perfect romantic holiday – sun, sand, great food, stunning views and luxury! Imagine my delight when I discovered Northern Greece’s picture perfect Sani Resort. Surrounded by nearly 1,000 acres of sand, sea and forest, the Sani Resort provides all the elements necessary for a romantic getaway. From the award-winning food highlighted in its annual Sani Gourmet food festival to the variety of activities available in the crystal clear waters of the Mediterranean, Sani Resort seems like a perfect vacation option. 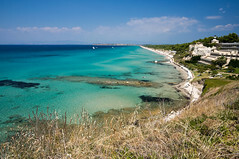 My perfect stay at the Sani Resort would definitely include a trip to the Spa Suite where I’d indulge in a hot stone massage and a manicure and pedicure to make me feel not only relaxed but also ready to spend time out on the gorgeous beaches of the resort. I’d also plan on spending some time diving and snorkelling at Sani Beach Club. I love discovering the colourful worlds that exist just under water. Best of all, plenty of the locals speak fluent English, so no need to bring your language translation agency along with you. Finally, my dream visit to Sani Resort wouldn’t be complete without spending plenty of time relaxing at the Water Restaurant and Bar with a tasty tropical beverage in hand. It’s clear that there are so many things to enjoy at Sani Resort, that it would be the perfect spot for an upcoming honeymoon or romantic holiday. It’s high on my list, that’s for sure! I sometimes Chinese people do some really strange things. At least, to me they seem strange. I would assume that here in China it is just the cultural norm. Sometimes you see very poorly translated signs that are hilarious. Sometimes you encounter rules or methods that leave you scratching your head in utter confusion. And sometimes, ever so rarely, you get the opportunity to witness something that is at once completely baffling and at the same time sums up the entirety of Chinese’s ability to plan ahead. I saw a seemingly innocuous line of windows, that were covered by a brick wall on the inside. A grand view from the Residency Permit Office in Xi’an. Tomorrow I leave for Guangxi for a three day jaunt in my first solo adventure here in China. I shall be returning Monday night so be sure to check back Tuesday for an update. Wish me luck! Gordon Brown never fails to sing his own praises. Brown’s budget speeches recall a Soviet style bureaucrat regurgitating long lists of statistics as undeniable proof of his mastery of the economy. 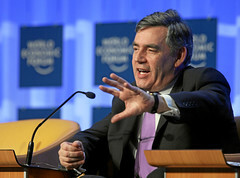 On the face of it Gordon Brown looks like a very successful Chancellor, possibly the most successful for a century. The UK has enjoyed continuous growth since 1993, Labour came to power in 1997, and relatively low inflation. There’s been no sterling or budget crisis so far. So after nine years at number 11, time to move next door to number 10 to work his magic as Prime Minister? No! Because Gordon Brown’s record as Chancellor is a great deal less flattering once it is properly analysed. But, first let’s acknowledge Gordon Brown’s real achievements: One, making the Bank of England independent. That’s helped keep interest lower and more stable than they would have been otherwise and helped keep the Pound out of any serious trouble. Gordon Brown’s second achievement was to stop the UK joining the Euro. It would have been disastrous for the UK economy. However, Brown’s record is flattered by the fact that the world economy has enjoyed a long period of benign economic growth, which has benefited the UK. But other Anglo-Saxon economies didn't even better than the UK. Firstly, there’s the fact that by 1997, the UK economy was already doing very well and looks healthier then than it does now in 2006. Indeed, it was the Tories who undertook a lot of the pain reforms to turn the UK into a competitive job creating economy. Secondly, globalisation has seen UK sectors such as financial and other services, aerospace, telecoms and other high-tech industries thrive. In the meantime, the China effect of driving down the cost of manufactured products has helped keep a lid on inflation through-out the Western world. This has been particularly handy since the UK economy is largely consumer driven. That covers the so called “mega” trends, which have helped the UK and have little to do with Gordon Brown. Then there are specific actions taken by Brown. Probably the one thing he’ll be remembered for almost more than anything else in the long run is for wrecking the UK private pension system. Back in 1997, it was the envy of Europe, today it looks dangerously inadequate after various tax raids by Gordon Brown. His legacy will be to leave many future pensioners impoverished. This all forms part of tax and spend and Gordon Brown has started doing this excessively since Labour’s second term. In fact, he looks rather like a one trick pony, whose sole trick is looking rather dated and ineffective. The public sector now eats up 45% of the UK’s GDP, compared to 37.5% in 2000. He has added an extra one million workers to the public sector payroll. For all Brown’s talk of admiring the US and his lectures to European Finance Ministers he has gone out of his way to mimic the basically failed socio-economic models that these Minister’s practice in France and Germany. Gordon Brown has allowed business to be strangled by an ever growing tangle of suffocating red tape, which is sapping the country’s competitiveness. The UK is sliding down one competitiveness league after another. The fact that the UK economy hasn't shuddered to a halt yet is due to its own strength rather than Gordon Brown’s ability to micro-manage it. But the camel is looking heavily laden, too much so, and it won’t take that many more sticks to break it‘s back. Gordon Brown is all about short-term gain at the price of long-term pain. Those pigeons will come home to roost one day, in flocks. For those reasons alone, the spend, (stealth) tax and borrow Chancellor, Gordon Brown, does not deserve to become the Prime Minister. But as prime minister he is completely unsuitable. Famous for nurturing grudges, for being bitter, petty and a control freak are hardly the qualities of a great leader. He is incredibly single dimensional and completely lacks the charisma of Tony Blair or Blair’s capacity to reconcile differences. Gordon Brown would fail to appeal to England’s middle classes increasingly tired of a Scottish dominated Westminster, high taxes, shoddy educational standards and the general air of sleaze and ineffectiveness, which grips New Labour. If, Gordon Brown does become Prime Minister as seems likely, let’s hope his term is mercifully short and not for the 10 years he wants to do. Let him be remembered for his real legacy, that of destroying a viable private pension system. Although, one can be sure that his pension is safe. Why Worry? Just Stop It! What is the meaning of Worry? Well, according to Dictionary.com, the definition of worry is "to torment oneself with or suffer from disturbing thoughts." Now think about that for a minute. Do youreally want to torment yourself? That doesn't sound like much fun to me. So why worry? What does worrying really accomplish? The answer is easy: Absolutely nothing! Worrying is a waste of time, it accomplishes nothing and it affects you both mentally and physically. "Worry affects the circulation, the heart, the glands, the whole nervous system, and profoundly affects the health. 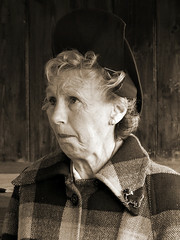 You have never known a man who died from overwork, but many who died from doubt." - Charles W. Mayo, M.D. The issue with worry is that it is usually centered around the future, usually begins with "what if", and in most cases is usually about things out of our control. Worry is definitely fear based. Our worried thoughts are centered around our fear of something happening. "What if I lose my job", "What if I never find anyone", 'What if I have a serious illness", etc. etc. Worrying about the future means you are definitely not living in the present. Again, it accomplishes nothing. Worrying is a hot mess of ineffective thoughts. Why waste your time and energy worrying and fearing things that haven't even happened to you. Why not focus on the present and stay positive about the future. The best anyone can do is to make good decisions on a daily basis and address things head on when they do happen. For example, if you are worrying about losing a loved one, invest in life insurance. If you're worrying about the very house you live in, look into this. Key message - stop stressing about things that haven't happened in your life and enjoy the present moment. Release your fears, release you worries in whatever way suits you. Some like to release their worry through prayer, some through meditation. Pick what works best for you. Eating healthy can be a tough challenge for all of us, especially when other things get in the way. Work can be stressful, kids always need attention and care, and keeping up with a social life is a big challenge. It's not surprise why fast food has been so successful. It's not that it tastes better and is enjoyable. It gets the job done in as little time and for as little price as possible. That's why learning a few recipes that are easy to cook and take up little time are often the best way to stay healthy with a demanding lifestyle. Here are a few ideas to get you going. Frozen dinners can be quite unhealthy, but not all of them are like that. Pick out one that works well and is healthy, and you have yourself an emergency dinner to use at any time. Crock pots are my best friend. They make amazing meals, and the work required is assembling all the ingredients together. A great tool if you're having friends over and want to impress them. If you don't want to buy a crock pot, you can usually put a stew or something like it on verrryyy low heat with a lid on. Make sure to check on it periodically so it doesn't run out of moisture, heat up and start a fire. Plan out in advance for the week. Know what you will be eating two days from now, so you don't have to ask yourself what's for dinner. 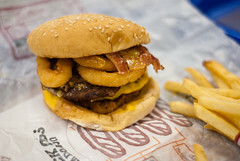 Odds are, you will just get out the local delivery menu and have an unhealthy meal.